DESCRIPTION: Predominantly grey/brown with bluish white flecks and lines on back. White below midline. Two distinct white lines on each cheek. RANGE: Eastern Pacific. Southern British Columbia to California. All of the images on elasmodiver.com are copyright protected. 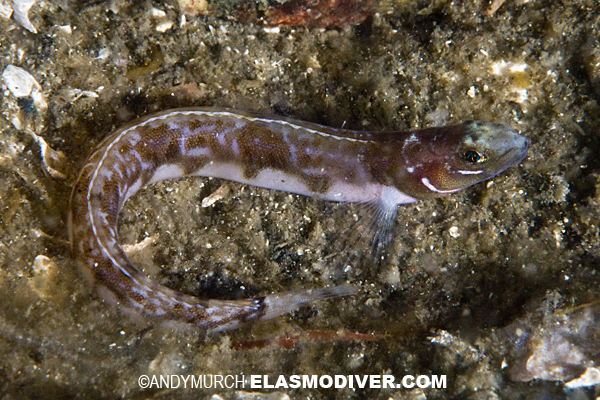 No unauthorized use of these Y-Prickleback pictures is permitted. Please contact Elasmodiver for further information.